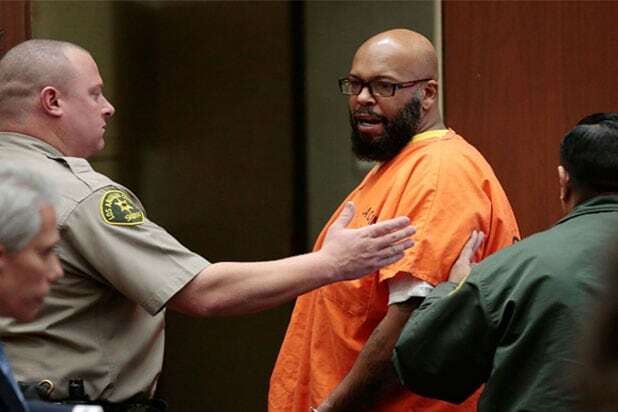 It was another court date, another hospital visit for beleaguered former rap mogul Marion “Suge” Knight. Knight, who was ordered to stand trial for murder, attempted murder and hit and run on Thursday, was rushed to a local hospital for a medical emergency after the judge handed down a decision that he should stand trial, a spokeswoman for the Los Angeles County Sheriff’s Department told TheWrap. No further details on Knight’s hospitalization were immediately available. This marks the fourth time that Knight has been hospitalized on days that he was scheduled to appear in court for allegedly killing one man and injuring another in January. Among his medical emergencies, Knight collapsed during a court appearance when his bail amount was set at $25 million. Knight is accused of running over Terry Carter and Cle Sloan with his vehicle during an incident in Compton, Calif., in January, killing Carter and injuring Sloan. He has pleaded not guilty to the charges. On Thursday, Judge Ronald Coen ordered Knight to stand trial, and lowered the Death Row Records co-founder’s bail amount to $10 million. Knight’s attorney, Matthew Fletcher, has claimed that his client, who he says suffers from glaucoma, diabetes and a blood clot near one of his lungs, has not received the medical care he needs. However, a representative for the Los Angeles County Sheriff’s Department has denied those claims, telling TheWrap that Knight is “receiving the appropriate treatment.” In addition to multiple blankets, the spokeswoman said, Knight’s hot water is the same temperature as the other inmates’ and he’s been offered new linens, showers and medications.